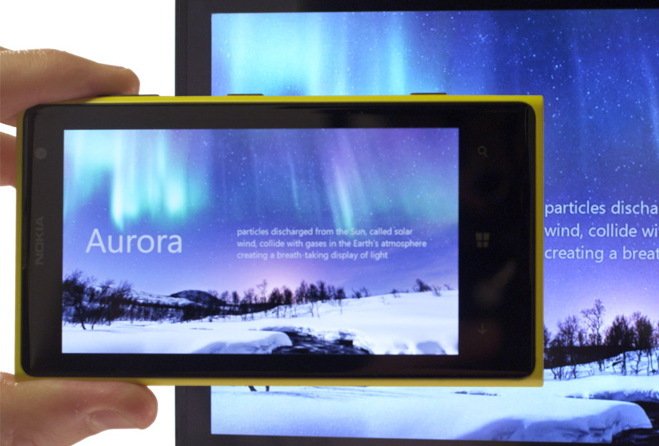 There’s a hands-on video showing off the features of the Nokia Lumia Black software update on the inter-webs. In it, a Nokia rep goes over all of the new things your Nokia Lumia smartphone can do. The first feature they show off is the new and improved “glance mode”. There are now new notifications that you can see on the ‘always on’ screen of Lumia smartphones, without having to wake your phone. There’s also an updated Nokia Camera app, that allows for three shooting modes: Video Recording, Nokia Camera, and Nokia Pro Camera. With the Pro Camera mode, you can fidget with light sensitivity and other camera settings more in-depth, as well as get a preview of the photo before you actually take it. Another new intriguing app as part of the update is Nokia Storyteller. This basically groups the photos you’ve taken chronologically, and then displays where the photos have been taken on a map, all over the world. The Nokia Beamer application has been updated as well, which allows you to share your screen with other Lumia devices on an internet connected TV or computer screen. Below is a list of the phones that are compatible with the Lumia Black software update.